Fantastic news, there is a Feelunique student discount code to get 10% off at feelunique.com. 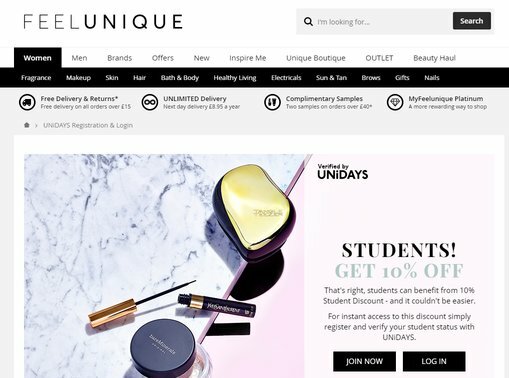 Simply go to this page, verify your student status and you’ll be issued with a discount code to get the reduction on all that lovely make-up and beauty products. For quality cosmetics Debenhams has a fantastic range and there are usually some great discounts to be had. For an unrivalled beauty selection and the famous No 7 range Boots takes first prize. Superdrug is a favourite on the highstreet and with low prices and a rewards card the savings can be massive.